I want to order, but i'm in Grenade near Venuzuella. Can you ship there? I have problem with termines on my boat, i look your injection product. I yhink it's the best way for me. But wiych product is the best? Drywood termites can be a problem to control in the hulls of boats. The problem is that in order to get to the termites, which bore and live inside of galleries, you have to drill small holes to try and penetrate the galleries in order to inject pesticide into them. 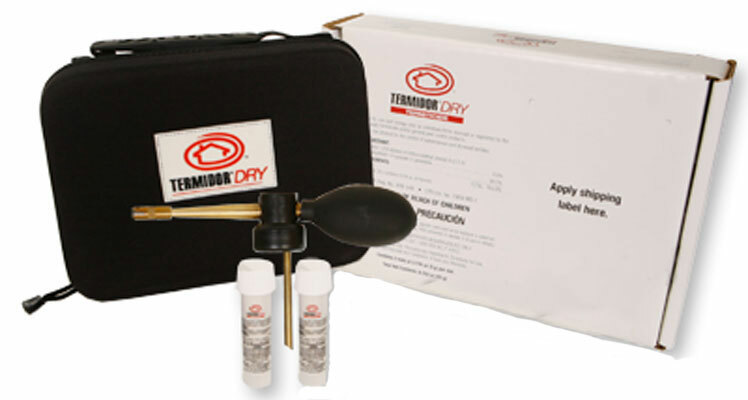 If you are successful in finding the Drywood Termite galleries, and are able to inject anything into them, then the best product to use is Termidor Dry. Termidor dry can be applied as a dry powder and puffed into small holes that you drill which hopefully lead to the termite galleries. Other water based products can create mold or mildew issues. I only recommend either Termidor Dry, or limited injections with Termidor Foam. Yes we ship to Grenade. Please call or email our International Customer Specialist, Tanya Rodriquez, at customercare@epestsupply.com or call 1-855-553-7378.